BusinessWorks.US » IS PUSHING TOO HARD COSTING YOU EMPLOYEE/INVESTOR/FAMILY SUPPORT ? IS PUSHING TOO HARD COSTING YOU EMPLOYEE/INVESTOR/FAMILY SUPPORT ? Standing On Someone Else’s Head? It’s a thin line. Entrepreneurs and entrepreneurial thinkers often become delusional in their oblivious-to-others, all-or-nothing charge to make their ideas work yesterday. The fuel? It can be good or bad news . . . a sudden brainstorm, making a major contact or receiving an unexpected investment (or bill), the surfacing of a sticky legal problem, a major family uproar or health issue. Or even NO news! 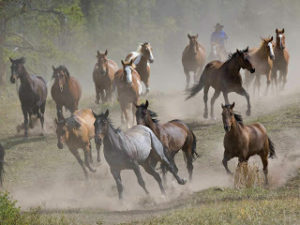 These are just a few examples of the kinds of events that trigger the reactive need for an immediate “stampede of one.” Most everyone has been on the receiving end of stampede clouds of dust and dirt. When it’s “the Boss” who runs over, under and around support personnel, the result is inevitably negative and often irreparable. Business prospects as well as personal and family connections are often short-circuited. And those whose heads have been stepped on are usually prompt to update resumes, and rarely stay around. Ah, but there is help for impetuous, oblivious and reactive behaviors (vs. tuned-in, team leader-style responses). And the difference between cultivating reactive and responsive –though great– is not the only answer. 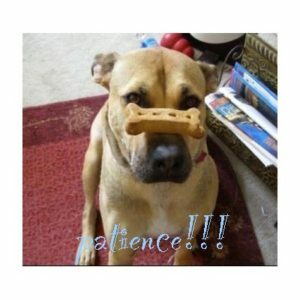 We have all heard along life’s path that “Patience is a Virtue.” Great, we say, but how do we gain patience? How do we know when and where to STOP? It’s called: Get to work learning all we can about how to focus our brains and lifestyles on fostering moment-by-moment, here and now awareness levels as much as possible. WHY? Because upset feelings ONLY take place in the past (anything longer ago than one second) or the future (anything more than one second away). The more we can train our minds to stay in the present moment as much as possible, the more control we have over our behaviors, our productivity, and our health. This is not to suggest we try to abandon all past and future in our lives. We need the past to learn from, and often as a relaxing avenue for pleasant memories . . . and of course we have to plan things in the future, The point is to use more present awareness to prevent dwelling on the past and worrying about the future. There is nothing more immediate in your life than your pulse, your heartbeat, and your breathing. And your breathing is the only one of the three that can control the other two. Click on this ARE YOU BREATHING? link or the tab at the top of this homepage for step-by-step guidance. And have a great day sharing and showing respect instead of the bottoms of your shoes!